From gaming to movie watching to Web surfing, enjoy sharper, brighter, and all-around better visuals from the 24-inch LED-backlit ASUS VE248H Full HD display at home or in the office. With ASUS Smart Contrast Ratio (10,000,000:1), experience bright whites and dark blacks that bring photos and scenery to life. 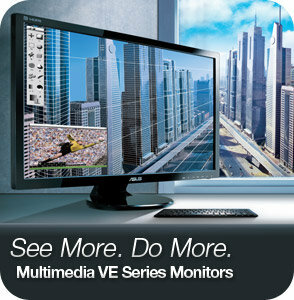 2ms Trace-Free Technology ensures smooth motion playback by delivering precise visual detail during fast-moving scenes. The VE248H is built with user-friendly features such as AI Light which automatically detects surrounding light and adjusts screen brightness to help your eyes comfortably adapt to the display’s lighting. Splendid Video Intelligence Technology lets you optimize screen color and contrast to your preference by instantly selecting from one of the six preset scenarios. 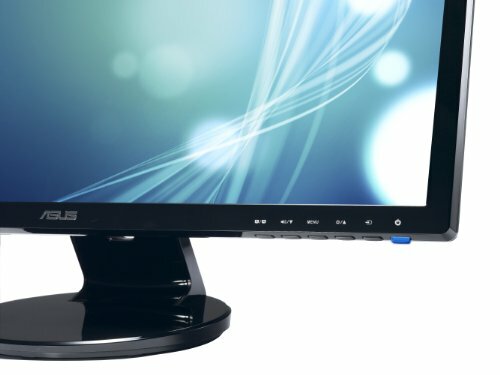 Boasting a host of ports including HDMI and DisplayPort, the VE248H connects to various PCs, gaming consoles, and other devices. 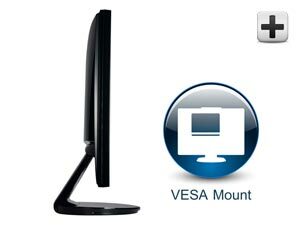 The VE248H has an understated yet sophisticated VESA-mountable design with built-in speakers and clean cable management to ideally fit any home or office setting. Aspect Control lets you control aspect ratio and adjust it for your maximum viewing comfort. 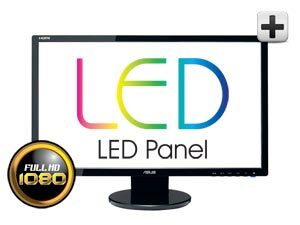 View larger The 24-inch Full HD 1080p LED-backlit VE248H display is perfect for watching HD movies, playing games, and viewing photo albums. Its 2ms Trace-Free Technology (gray to gray) ensures accurate detail and fluid motion for fast-moving scenes. ASUS Smart Contrast Ratio (10,000,000:1) dynamically fine-tunes between black and white to sharpen images and accurately reproduce images as intended. View larger Whether you’re viewing photos, watching movies, or surfing the Web, the VE248H comes with exclusive Splendid Video Intelligence Technology that lets you easily adjust color and contrast to your preference in a simple push of a button. With a total of six color preset modes and three skin tone modes, customize image settings for an entirely personalized visual experience. In addition, ASUS Aspect Control auto-detects and adjusts aspect ratio to your desired viewing preference. View larger The VE248H has a streamlined design that’s as practical as it is stylish. 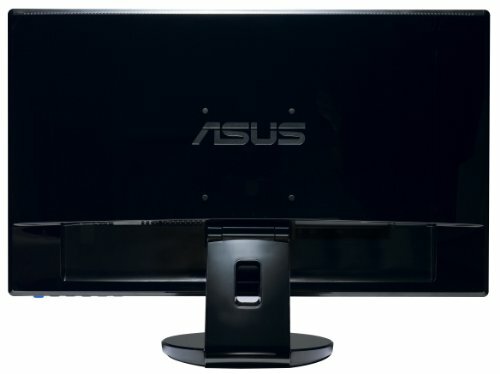 Its narrow frame gives additional screen real estate and offers a more seamless appearance when placed adjacent to other monitors—ideal for using multiple display technology. Plus, built-in stereo speakers provide sound when connected to either the HDMI or the audio out port, delivering sound with no external speakers. VESA mountable, the VE248H fits nicely on walls and, thanks to its cable management, hides wires for a clean simple appeal. 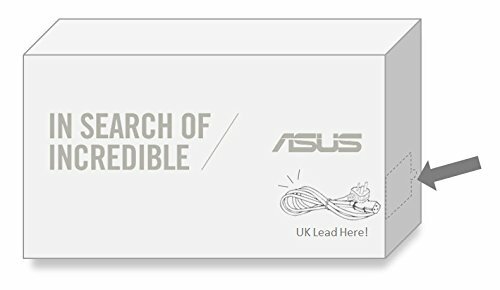 ASUS is the world leader in motherboards and graphics cards, and is one of the fastest growing of the top 10 notebook brands. The ASUS product portfolio includes displays, notebooks, Eee PCs, motherboards, graphics cards, and much more. 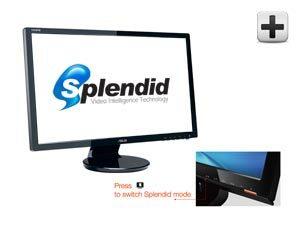 In 2010, ASUS products won 3,398 distinguished awards thanks to the innovative user-centric technologies such as Splendid Video Intelligence Technology—included in every ASUS display and notebook. 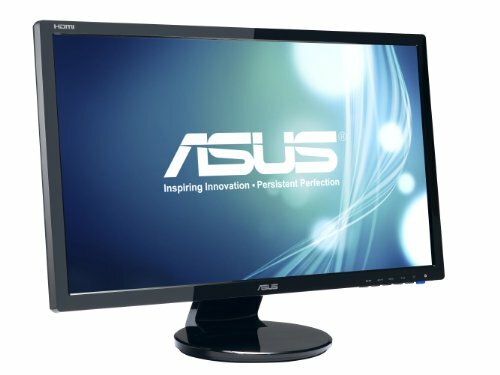 © 2011 ASUS Computer International. All Rights Reserved. ASUS is a registered trademark of ASUSTeK Computer. All specifications are subject to change without notice. Color and bundled software versions are subject to change without notice. Brand and product names mentioned are trademarks of their respective companies. Product may not be exactly as shown in photos. 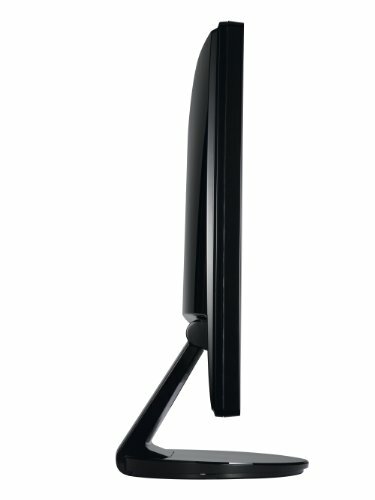 Easily attaches behind a monitor to efficiently power anything from day-to-day tasks to Full HD entertainment. Dazzle your visual senses with the ASUS VE276Q. Embedded digital HDMI and DisplayPort inputs enable the most advanced graphic card and computer connectivity. 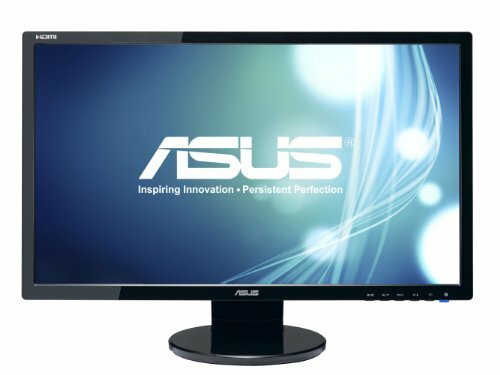 features a 25.5-inch 1920×1200 LCD screen that supersedes Full HD 1080p resolution. Its extra large resolution and ASUS Trace Free 2ms response time makes it ideal for immersing yourself in the latest games with the sharpest details and clarity, even for fast motion action video playback.